The Dickinson Area Economic Development Alliance (DAEDA) recently hired Lois Ellis as the Director of Economic Development. Ellis has an extensive background in Economic Development in the Upper Peninsula. Her experience in economic development started in 2002 when she was hired at the Lake Superior Community Partnership. After 11 years at the LSCP, Lois worked as a Business Development Manager for the Michigan Economic Development Corporation (MEDC). Most recently, she was the President of Lasco Development Corporation. 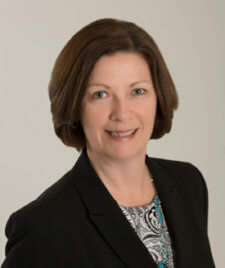 Lois’ background in economic development includes analyzing and solving business challenges, delivering resources to clients, managing detailed projects and building positive relationships with clients and the community. During her employment with the Lake Superior Community Partnership, Lois was provided the opportunity to have some of the best economic development training available. After completing her basic economic development training through the Michigan Economic Developers Association (MEDA), she was able to continue with advanced courses and earn two key professional designations. In 2010, she was awarded her Certified Economic Developer (CeCD) designation and in 2011 she earned the Economic Development Finance Professional (EDFP) certification. These educational opportunities armed her with the current information and best practices, economic development strategies, assistance program knowledge and broad professional network to enhance her work in economic development. While serving the Upper Peninsula as the Business Development Manager for the MEDC, she was able to build relationships across the U.P. with local, regional and state economic development partners and conduct visits with hundreds of companies across the region.